FRIDAY, July 18, 2014 (HealthDay News) -- A new study involving data on more than 1 million women finds the HPV test outperforming the standard Pap test in assessing cervical cancer risk. Researchers at the U.S. National Cancer Institute (NCI) conclude that a negative test for HPV (human papillomavirus) infection is associated with an extremely low risk for cervical cancer and provides greater assurance of low cervical cancer risk than a negative Pap test. Sexually transmitted HPV infection is thought to cause the majority of cervical cancers. The findings support current guidelines that advise that both tests be used in cervical cancer screening, study lead author Julia Gage, a research fellow in the NCI's division of cancer epidemiology and genetics, said in an institute news release. She believes the findings also bolster support for use of the HPV test alone "as another alternative for cervical screening." As the experts explained it, certain types of HPV cause nearly all cervical cancers. A Pap test detects abnormal cell changes associated with cervical cancer, and both the Pap and the HPV test involve the use of cells collected from the cervix. 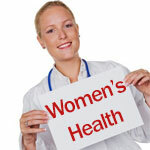 The new study included women aged 30 to 64 in California who underwent HPV and Pap testing between 2003 and 2012. The risk of developing cervical cancer within three years after a negative HPV test was about half the already low risk seen after a negative Pap test, the study found. The number of women who developed cervical cancer within three years was 11 per 100,000 after a negative HPV test compared to 20 per 100,000 after a negative Pap test, the investigators found. One expert welcomed the new study. Dr. Jill Maura Rabin works in Women's Health Programs-PCAP Services at North Shore-LIJ Health System in New Hyde Park, N.Y. She said the finding "provides greater assurance regarding future risk of cervical cancer." She believes that "the annual well-woman visit remains an excellent venue to re-assess your health and risk status, to evaluate your complete health as well as to address any concerns you may have." However, a negative HPV test does not mean that a woman is risk-free for life, Rabin stressed. "The risk of HPV and other sexually transmitted infections remains a factor should your risk status change -- for example, a new partner, or any illness which suppresses your immune system," she said. The study was published online July 18 in the Journal of the National Cancer Institute. The U.S. Preventive Services Task Force, an influential advisory group, currently recommends Pap testing every three years between the ages 21 to 65, or co-testing every five years between the ages 30 to 65 for women with normal screening results.